John Higgins is set to make his comeback from a six-month ban in November at the Euro Players Tour Championship in Germany. The three-time world champion will face Joe Jogia in the first round of the tournament in what will be his first match since losing to Steve Davis at the Crucible in April. 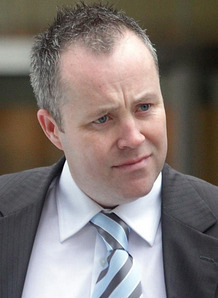 Higgins was investigated after allegations that he had agreed to throw frames were made against him by the News of the World. The 35-year-old was cleared of match-fixing charges but was fined £75,000 and given a back-dated suspension for breaching betting rules. During the course of the ban, Higgins has lost his status as the world’s top player and has now slipped to third in the rankings behind Neil Robertson and Ali Carter. The four-day tournament in Hamm will serve as a precursor to Higgins’ return to the big stage at the UK Championship in December.